The outcomes below represent fundraising and development results generated in service as an employee or as an independent consultant. Following an in-depth assessment, we helped the Academy design and launch its first strategic development plan. After a year of coaching and training, the board and staff at the Academy exceeded their fundraising goals and brought on their first professional development director. The Academy is now poised to effectively tap into a broadened donor pool to help them create lasting change. Crooker Consulting has teamed with Dianna Smiley, LLC to provide campaign counsel for this once-in-a-generation project. The $46 million project will serve as a catalyst for personal, cultural and economic growth, as well as increased civic pride and engagement. Over 86 percent of the goal has been secured, with less than 14 percent left to go. 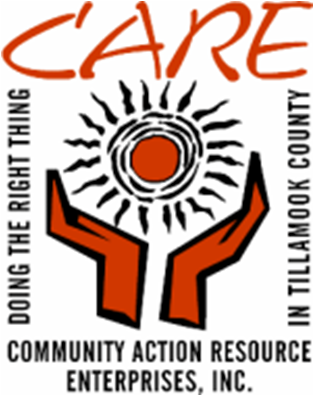 We helped CARE, Inc. successfully complete its first capital campaign to purchase its building. The Home for CARE Campaign led to a 16-percent increase in the size of the donor pool, and more than doubled the number of major gifts, setting the stage for successful fundraising for years to come. After conducting an in-depth assessment and designing a strategic development plan, we led board training and planning sessions that resulted in increased face-to-face outreach to targeted donors. We also developed essential policies and a marketing platform to launch the organization’s first-ever planned giving program. Upon completion of a comprehensive development assessment, we designed a multi-year fundraising strategic plan. Board engagement and training led to a significant increase in fundraising investment, including addition of new positions. We also led design and implementation of sustainable major and planned giving programs, leading to a significant increase in annual leadership gifts. We supported Nordic Northwest as they navigated a leadership transition. With our support, the board of Nordic Northwest stepped up and led a successful challenge grant program, leading to substantial increased giving and donor engagement, and resulting in the organization’s first-ever $1M gift. We also helped the board and membership clarify their hopes and aspirations for their new leader, and led an executive search resulting in the hire of a dynamic new executive director. We worked closely with executive leaders and trustees to develop the university’s first-ever capital campaign. We also developed and executed individual and corporate giving programs to reach the university’s goal of $900,000 in annual unrestricted gifts. We led the design and implementation of a solid major gifts program, leading to increased giving to SPOON’s first-ever capital campaign. Through targeted coaching and training, the executive director and board chair have increased their comfort with and understanding of the role of face-to-face fundraising, and are raising increasingly significant gifts. We led development of a three-year strategic plan, fully integrating inspired fundraising strategies. We provided board and staff training that led to enhanced major and planned giving programs, including launch of the organization’s first-ever capital campaign. We also wrote a successful capacity-building grant that led to hiring a full-time major gifts officer. Working with an all-volunteer organization, we positioned Valley Art to successfully raise funds for major upgrades as part of its 50th Anniversary celebration. We secured major foundation grants and private major gifts for capital renovation, including the organization’s first-ever $25,000+ gifts.